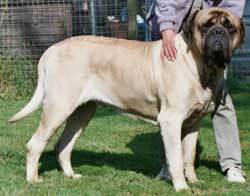 Strong and powerful, the Mastiffs great bulk does not easily pass by unrecognized. The head is massive and wide, with dark brown eyes that reflect alert kindness. Ears are relatively small, v-shaped and rounded, and set toward the back of the head. The muzzle is short and broad. The neck, body and legs are large, muscular and imposing. The tail is set high and carried below the level of the topline. Both the outer coat and undercoat are short and straight, with the outer coat being straight and coarse and the undercoat being more dense. 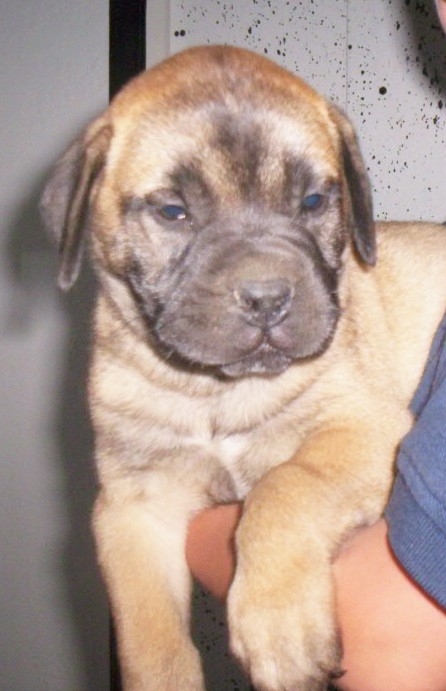 Color can be apricot, brindle or fawn, but the muzzle, ears, nose, and area around the eyes should be dark. The dog is not terribly energetic or playful, but its proud and sensible demeanor can come as refreshing to a family seeking a devoted pet. 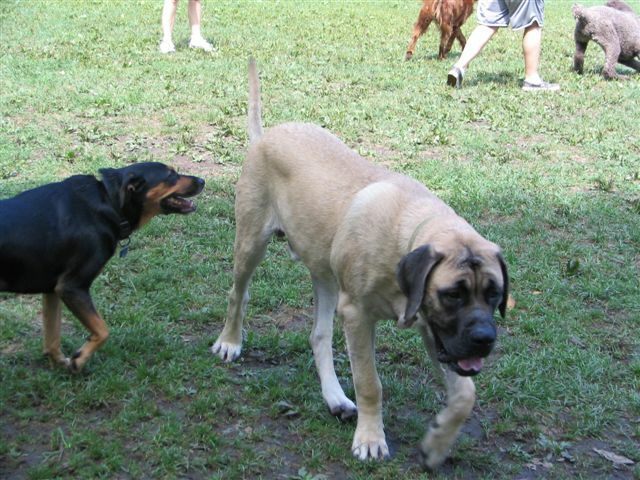 Naturally protective of its people, the Mastiff may try to herd or mother children, though it is always gentle around little ones. 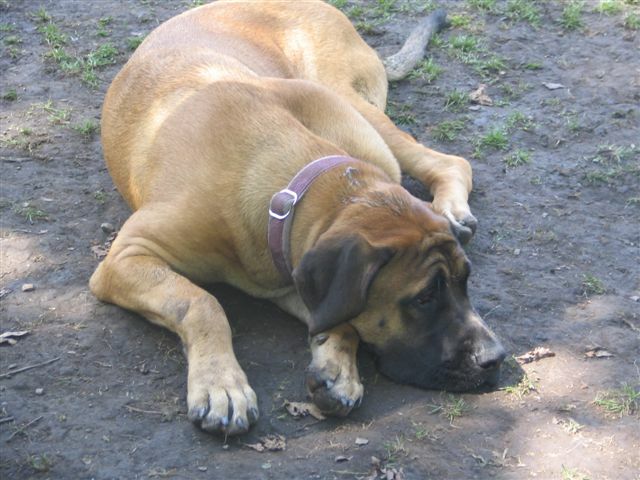 The Mastiff is defensive around its family and wary of strangers, but as long as its master makes it apparent that a newcomer means no harm, the Mastiff is usually pretty quick to catch on. 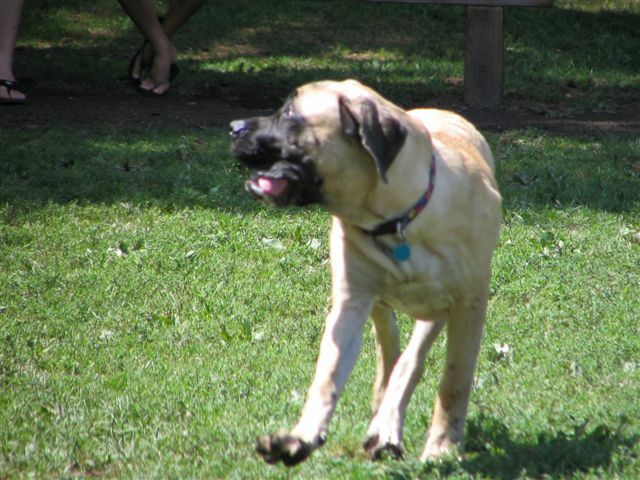 Nevertheless, proper socialization is important, as a belligerent Mastiff (which is rare, mind you) can be highly dangerous to human and animal alike. 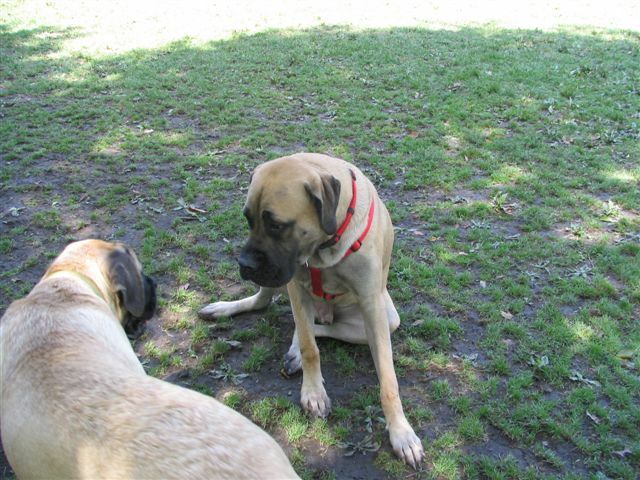 Generally speaking, however, the Mastiff is a gentle giant and a well mannered pet. A brisk walk around the neighborhood or vigorous game usually does the trick. 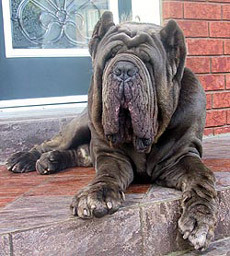 Keep in mind, however, that Mastiffs have a tendency to become overweight. Make sure the dog is fed a sensible diet and given his daily exercise, and this should not be a problem. The coat is easy to care for and requires nothing more than an occasional brushing. 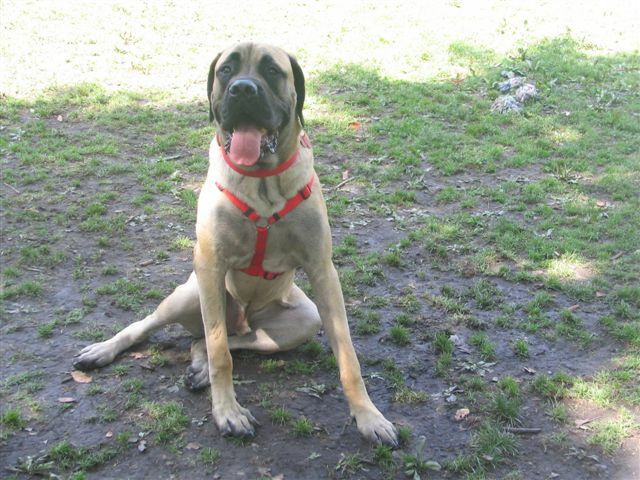 Mastiffs do not like heat, and should be kept indoors on especially hot days. 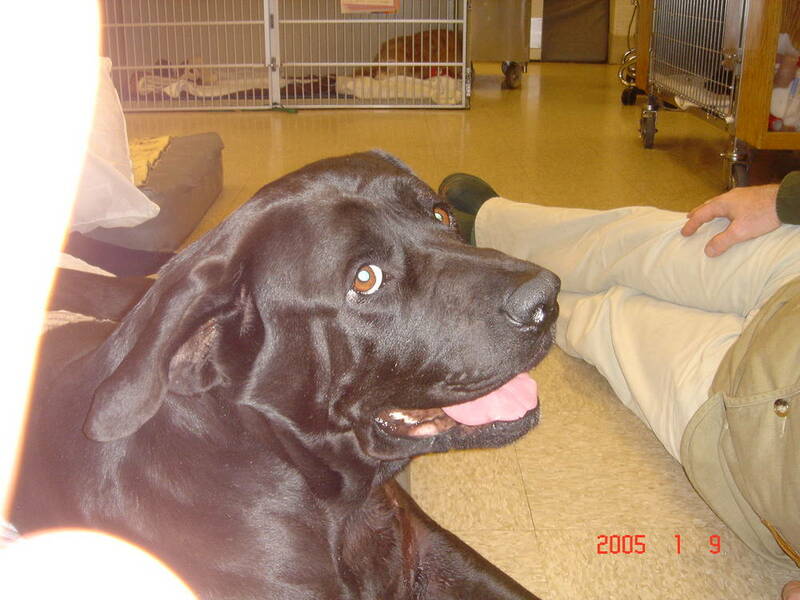 Known health problems include canine hip and elbow dysplasia, gastric torsion, osteosarcoma and cystinuria. The name Mastiff is derived from the Anglo-Saxon word masty, meaning powerful, and it is likely the dog was first brought to Britain some time between the 7th and 5th century BC. 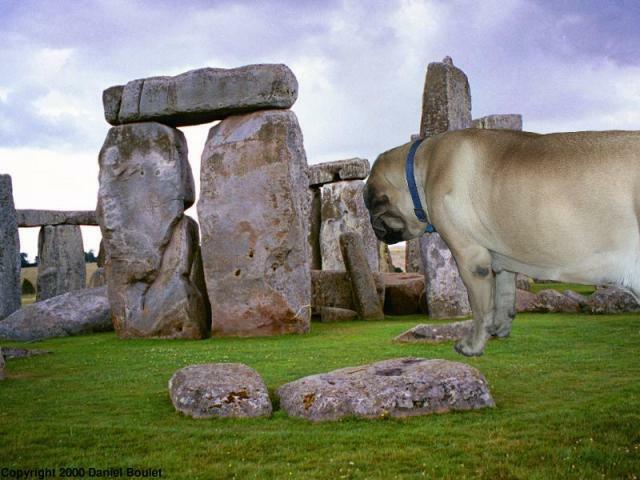 Mastiffs, or dogs very much like them, were certainly known to the Romans, who used the dogs in battle as well as in gladiatorial spectacles. 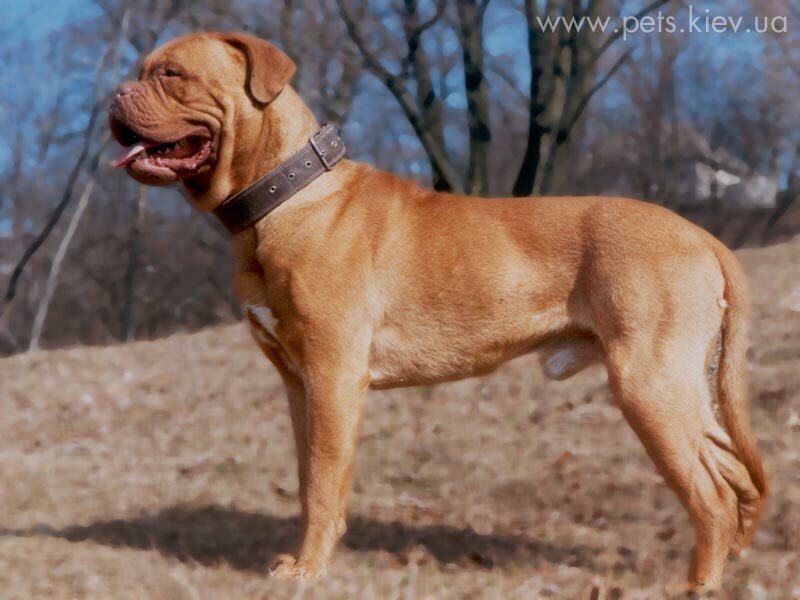 From Roman times through the 19th century, the Mastiff was mostly employed as a guard dog and draft animal, though it was occasionally used in blood sports such as bull baiting, bear baiting and dog fighting. 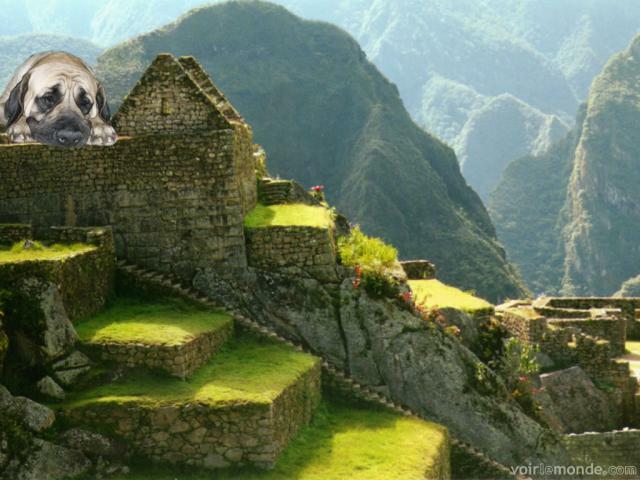 Some say the Mastiff came to America with the Pilgrims during the 17th century, but documented proof of the Mastiff in the New World only goes back to the 18th century. 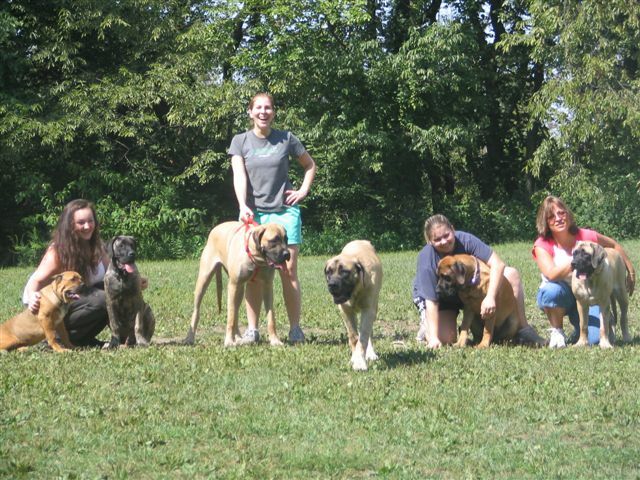 Though nearly decimated in England during World War II, the Mastiff line was preserved thanks in large part to its presence outside of Europe, most notably in the United States. 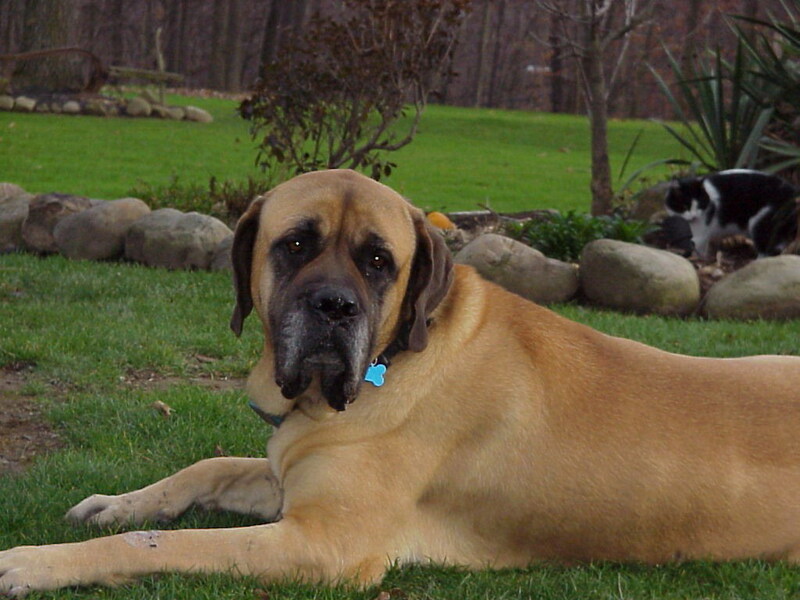 The Mastiff was recognized by the American Kennel Club in 1885.Perhaps the most influential of the dog breeds, the Mastiff is ancestor to countless modern breeds and its feats have been recorded in the annals of human history going back thousands of years. The most well known of these accounts tells of the courage of the Mastiff of Sir Peers Leigh. Sir Peers Leigh was wounded at the Battle of Agincourt during the Hundred Years War, and according to legend, his faithful mastiff stood guard over him for several hours before it was finally killed itself. The progeny of this dog would go on to become the most celebrated of the breed, and are largely credited with preserving the dogs noble traits for hundreds of years.A Mastiff from England named Zorba currently holds the world record for heaviest dog in the world, at 343 pounds.